MedMen is launching a legal attack on medical marijuana dispensary restrictions in Miami Beach, just as doubts are brewing about the financial health of the Culver City, California-based cannabis company. In a Miami-Dade lawsuit filed last month, MedMen alleges Miami Beach violated state law when the city commission adopted an ordinance in February that prohibits two or more dispensaries from being located within 1,200 feet of one another. The company also claims that the city cannot enforce the ordinance against a Miami Beach property MedMen plans to use as its dispensary. MedMen, a private-equity backed, publicly traded firm that holds one of 14 licenses to grow and distribute medical marijuana products in Florida, signed a lease about a year ago to demolish an existing building and construct a new commercial space at 1428 Alton Road, according to the complaint. Medmen executed the agreement based on assurances from city planning and zoning administrators that the property fell within the area of Miami Beach zoned for medical marijuana dispensaries, the lawsuit states. The city commission passed the new distance restrictions just as MedMen was in the midst of finishing construction, which had been approved by Miami Beach’s permitting agencies last year, a company spokesperson told The Real Deal. Development of the dispensary was moving smoothly until December 26, when officials from the Miami Beach planning and zoning department indicated that MedMen’s final master building permit would not be approved because another dispensary is within 300 feet of the company’s proposed storefront. The city planners anticipated commissioners would approve the distance requirement, which mushroomed to 1,200 feet during the initial first reading on Feb. 13. MedMen claims that the public, including medical marijuana companies, were not allowed to provide their input. On March 1, the city denied MedMen’s final permit. The company’s battle with Miami Beach comes at a time Medmen is facing hard scrutiny over its future. A recent report based on financial statements released last month show MedMen did not have “sufficient funds generated from operations” to cover its short-term and long-term needs. The company needs to obtain more financing to continue, according to the CNBC report. 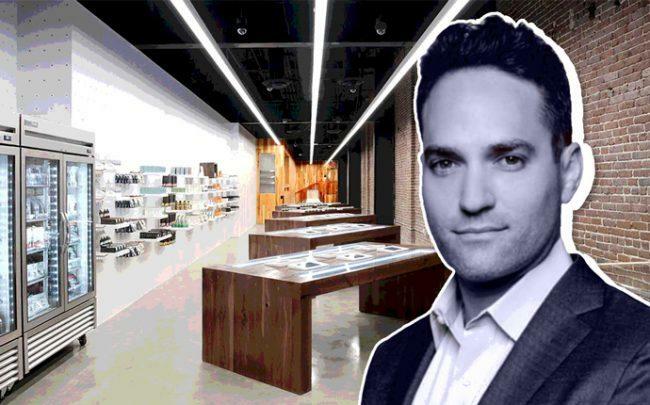 James Parker, MedMen’s CFO, also alleges in a separate lawsuit that he was forced out after expressing concern about spending as well as alleged unprofessional behavior by MedMen CEO Adam Bierman and President Andrew Modlin, according to the suit. The cannabis company operates in six states as it tries to establish itself as a national marijuana brand. Its recent expansion plans include using a $100 million loan from Gotham Green Partners to add 30 stores in Florida and make other strategic investments. Medmen also recently announced it is spinning off its real estate interests by selling its properties to Treehouse Real Estate Investment Trust for $100 million. Treehouse plans to make leaseback deals with MedMen for all classes of properties, including retail stores, and cultivation and production facilities. Still, MedMen’s stock has been tanking on the Canadian stock exchange. The company’s stock value has crumbled by 60 percent over the past six months, from a high of $6.94 per share Oct. 16 to $2.78 on Friday.